The European Cancer Patient Coalition is governed by a Board of seven individuals elected by ECPC General Assembly among its Members. The Board is responsible for the strategic direction of the organisation, while the Secretariat is responsible for the day-to-day operations, in compliance with the Audit Committee. To enhance the organization’s public standing. The Board meets at least four times per year. Each Board member can serve on the Board for a maximum of three consecutive terms (nine years in total). The ECPC Statute requires at least half of the Board Members are cancer patients or cancer survivors. The ECPC Board elected for the period of 2016 - 2019 has been officially endorsed and published in the Belgian Gazette. Francesco de Lorenzo is a colon cancer survivor, President of the European Cancer Patient Coalition (ECPC), President of the Italian Federation of Cancer Patients Organisations (FAVO), President of the Italian Association of Cancer Patients (AIMaC), and co-founder of Italy's first Cancer Information Service (CIS). He is a board member of Cancer Core Europe, member of the Science Policy Committee of the European Academy of Cancer Sciences, member of the General Assembly of the Worldwide Innovative Networking Consortium, and board member of the Cancer Drug Development Forum. He was previously a medical doctor and professor of biochemistry at the University Federico II Naples. Francesco de Lorenzo is also active in Italy's governmental network of cancer Institutes (ACC), Italy's National Cancer Plan Committee and National Volunteer Observatory of the Italian Welfare Ministry. He was also engaged in Italian politics as a member of parliament and holding several ministerial mandates. Member of the Science Policy Committee of the European Academy of Cancer Sciences. Kathi is the Vice President of the European Cancer Patient Coalition and the President of the Executive Committee of ELL.O.K., the Hellenic Cancer Federation/Greece. Kathi is a Public Affairs Consultant with broad and diversified experience in regulatory and public affairs, diplomacy, strategy, marketing and communications with international companies and public service. Jointly with the President, she is responsible for strategy, strategic alliances, relations with the European Commission and other EU and national high-level cancer stakeholders. Scientific Advisory Board of TRANSCAN II. Surviving breast cancer twice, Kathi was involved in breast cancer, survivorship and cancer patient rights advocacy for the last 25 years. Her advocacy covers issues of access to cancer care, informed shared decision making in cancer care, patient involvement in cancer research, health and cancer care policy and economics, cancer care delivery, patient safety, health technology assessment, and digital technology in cancer care. At national level she serves as Board Member at KEFI Association of Cancer Patients, Volunteers and Physicians in Greece and as Director/Member of other Greek cancer patient associations. Twitter:@kgapo, FB: Kathi Apostolidis - #opnhealth, Blog: http://epatientgr.wordpress.com, Pinterest: kgapo. Jana is a chronic myeloid leukemia (CML) patient on treatment for 14 years. Challenges of living with CML led her, in 2006, to become the founder and chairperson of the Diagnoza CML patient organisation in the Czech Republic, evolving in 2014 into the Diagnoza Leukemie patient society, addressing patients with all types of leukemias. The need for sharing and learning experiences in advocacy was the reason she became the co-founder of the CML Advocates Network (2007) and president of the Swiss-based Leukaemia Patient Advocates Foundation. Recently, she became a member of the Steering Committee of the newly established global Chronic Lymphocytic Leukemia Advocates Network (CLLAN). Jana is an ECPC Board Member and Secretary since 2011. As a rare cancer advocate she also represents ECPC in Rare Cancers Europe. For a second election period she is a member of the ECCO PAC. Besides gaining access to therapies in hemato-oncology she is focused on improving methods of patient education and adherence to oral anti-cancer drugs. Andrew was diagnosed with a Stage 4 bladder cancer in 2009 and almost immediately after major surgery, set up the UK charity Fight Bladder Cancer as the first patient advocacy group in the UK for bladder cancer patients and their families. The charity, under Andrew's direction, has grown to be a significant voice for bladder cancer across the UK and more recently across Europe, where he has helped to draft the European Cancer Patient Coalition's Bladder Cancer White Paper. Andrew is also a representative of the UK National Cancer Institute's Bladder Cancer Clinical Studies group and two specialist sub groups for invasive and non-invasive bladder cancer. In addition, he has also been the patient specialist representative on the NICE panel developing the latest UK Bladder Cancer Quality Standards and a patient advisor to the Scottish Medicines Coalition. Matti Järvinen is a Board member of the European Cancer Patient Coalition and the Association of Cancer Patients in Finland. Matti Järvinen is a lymphoma patient, now five years in remission. He made his professional career as the managing director of the Finnish Central Organisation for road safety prevention and education. He has wide national and international experience in communication, strategic planning, administration and advocacy. As a Board member of the European Cancer Patient Coalition, Matti wants to strengthen the communication with members and bring Nordic approaches to it. He is in favour of practical, concrete and innovative solutions which are based on good knowledge of local circumstances and challenges. 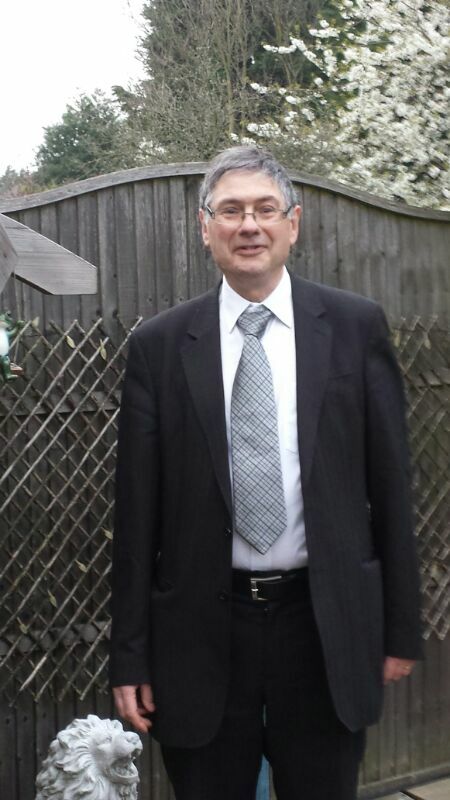 Ken Mastris is a Board Member of the European Cancer Patient Coalition. He is a prostate cancer patient and patient advocate, committed to promote patients' equality in cancer treatment and better quality of life for cancer patients, in all of Europe. He is dedicated to patient advocacy and he aims to ensure that cancer patients receive the right treatment at the right time, without suffering any additional stress during complex medical procedures. He strongly believes in treating each patient as an individual, whose point of view and voice shall be carefully listened to by health professionals. Ken is also involved in educating men to recognise symptoms and signals of prostate cancer, in order to maximise the chances of early diagnosis. Before retiring in 2005, Ken worked in management for 43 years: he has been part of the Committee of management of Benenden Healthcare Society Limited and of the Board of Governors of the Hospital, but he has also been Chairman of the Internal Audit Committee and Director of the Friends of Benenden. Maude Andersson is a Board member of the European Cancer Patient Coalition and the Vice-President of Gynsam (Swedish Gynaecological Cancer Patients National Coalition). Her first personal encounter with cancer was in 1984, when a lump was discovered in her left breast and removed. In 1999 she was diagnosed with ovarian cancer and had surgery, radiation and had brachytherapy. She previously worked as an engineer for Ericsson and at the Department of Physics and Electrical Engineering at the University of Karlstad. Maude Andersson is currently a patient representative in the Regional Cancer Centers in Sweden – the Gynecological Cancer Group, the Palliative Group, the Contact Nurse Group, Patient and Associate Group, and the Rehabilitation Group. She is also a member of the Disability Board in the County Council in Värmland. She is also the Editor of Gynsamposten (the journal of the Swedish Gynaecological Cancer Patients National Coalition) and President of GCF Musslan (a patient association for women with gynaecological cancer living in the west of middle Sweden). She works to ensure that all people have access to the latest and best care available, preventive measures such as health checks and screening are implemented, and all patients are offered rehabilitation. In Sweden, she has launched a network for young women with a cancer diagnosis, coordinated a project to support immigrant women with cancer, and lobbied the national government for better health care and HPV vaccination. As a Board member of the European Cancer Patient Coalition, Maude is working on rare cancer issues, HPV vaccination for boys, writing a book about cancer side-effects, as well as continue to work with Nordic Sister Organizations to address common questions at the ECPC and EU level. In line with ECPC Statute, the Audit Committee is elected by ECPC General Assembly among its Members. The three Audit Committee Members remain in charge for three years. The Audit Committee is responsible to oversee the financial management of ECPC, approving ECPC Budgets. Born in Turin, Italy, Pietro Presti is a dynamic and goal-oriented manager with a broad experience in healthcare sector, especially in oncology, including prevention, screening, cancer control and research. Pietro is a Managing Director at "Edo ed Elvo Tempia" Foundation, an Italian private foundation, primarily involved in cancer prevention and screening, palliative care, psycho-oncology and research in oncogenomics. Pietro has also been an active member of Union for International Cancer Control (UICC) since May 2007. He is also CEO at im3D Clinic Scarl, a university spin-off operating in the field of oncological screening and prevention, based on medical imaging technologies dedicated to the early diagnosis and prevention of colorectal cancer and breast cancer. Pietro has a substantial experience in strategic and sustainable business development, international projects and institutional relationships, as well as possess an important track record of managing and scaling complex and innovative projects and public-private partnerships. Nicolas serves as a General Manager of The Cyprus Association of Cancer Patients and Friends (PASYKAF) since 2010. His values have been to be patient centered, goal oriented, transparent and professional, with the aim to grow the organization and be able to create impact towards achieving best patients' outcomes. Personally, Nicolas has a business background, holding a BA in Management and an MBA in Finance. He has 10 years of experience in the private sector, including two international companies with operations in Cyprus, Greece and the UK. These positions gave Nicolas an opportunity to work in diverse environments, cooperating and communicating with people from all calibre and professional backgrounds. In 2014 he was elected as the General Secretary of the Cyprus Patients Federation, an umbrella organization member of EPF and he has excellent working relations with colleagues and board members from other European and International Cancer Associations. He has been a President of the Children Cancer Foundation for over ten years. His commitment, broad experience, as well as economic background and leadership skills have ensured a success and confident future for the organization, where Istvan is responsible for coordinating economic matters, planning budgets, conducting analysis, research and more. Thanks to his expertise, legal knowledge and engagement, Istvan is also a board member of several organizations in Hungary and in the USA. In 2016, ECPC nominated for the first time the members of the new Scientific Committee, introduced after the renewal of the statutes in the previous year. The Scientific Committee, established by the ECPC statutes, is a consultative body to the Board, that consists of three to five expert members. The Scientific Committee is chaired by the ECPC President and has a mandate that coincides with the Audit Committee. "The Scientific Committee is a consultative body to the Board. The Board can consult the Scientific Committee for the development and implementation of scientific activities of the association." The Scientific Committee oversees the work of the Board related to research projects, information materials and any other activity implying the creation and divulgation of scientific information. The Scientific Committee was appointed following an established procedure in parallel to the election processes carried out in 2016, when the Board and the Audit Committee were elected. Following the open candidature calls in early 2016, 16 candidatures were announced. The candidates can be found in the Elections Hub page. After the election, the new Board nominated the members of the Scientific Committee, following the procedures established in the statutes in article 10. National Cancer Institute of Naples "G. Pascale"